The highest quality of polyethylene is an extremely lightweight and heavy-duty substance. Ring binders made with polyethylene are grease and scuff resistant, and temperature variations do not affect them. Poly binders are ideal for indoor or outdoor usage because they are sturdy, incredibly light, and are exceptionally durable. They are widely popular for use in industrial situations because of their ability to endure intense temperatures and tough treatment in addition to the fact they are water, dirt, grease and oil resistant. You can get poly binders in a huge assortment of colors, and can customize them with Digital Printing, Screen Printing and foil stamping. With our wide variety of options and samples of poly materials we can assist you in finding one that suites your needs. 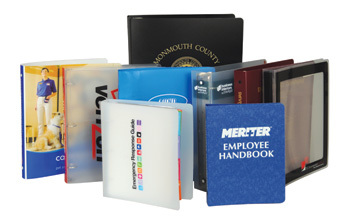 Our unique poly binders are incredibly cost effective and are some of the toughest binders on the markets. 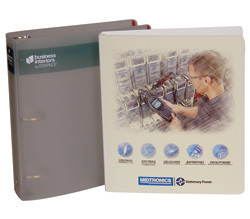 The use of Poly to manufacture custom binders has been available for years, and often is not as expensive as purchasing other standard binders. Our poly binders are able to be decorated in a variety of ways in order for you to create the look you want.